I never thought I would take a ride on a hot air balloon. 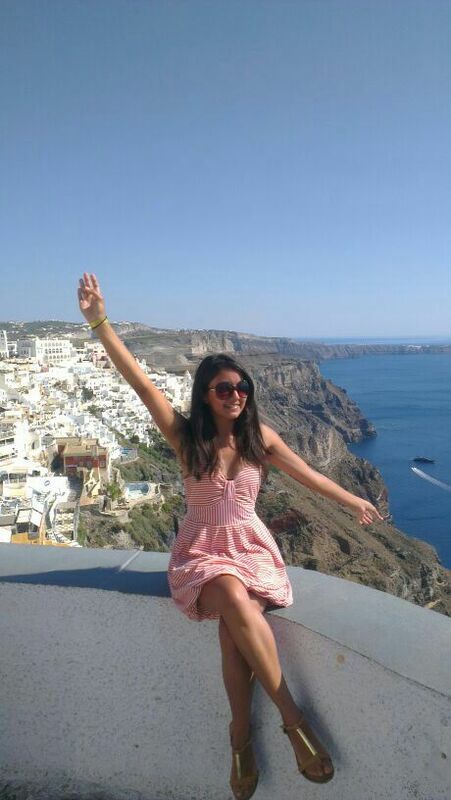 It wasn’t even on my bucket list on the first place, but then Turkey happened and Cappadocia was the perfect place to do it. 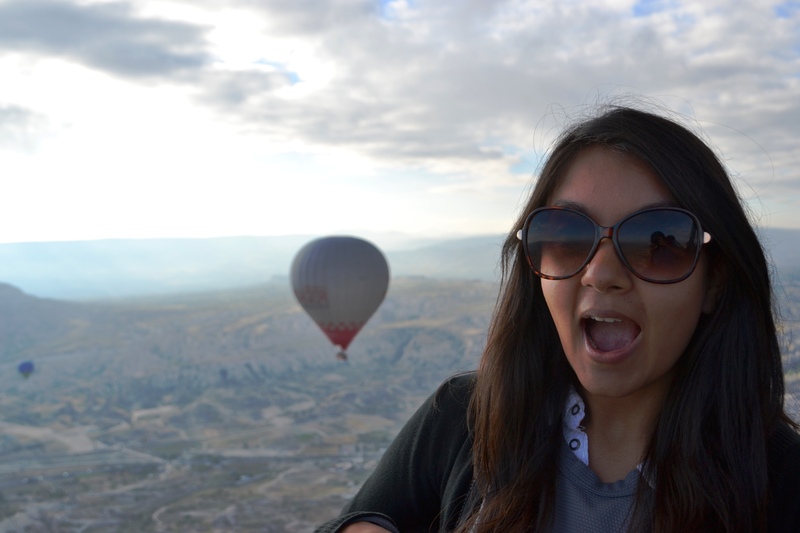 I was staying in the tiny but picturesque town of Goreme, and asked around many agencies that offered hot air balloon rides. It’s expensive, which is why if you are planning your Turkey trip make sure you have already made up your mind about doing it and consider it in your budget. Prices range from 90 to 160 euros, I paid 110. When asking why there was such a big difference in prices, the reply was always the same: experience and quality of service. A cheaper ride will probably mean too many people crammed in a basket which definitely impacts your enjoyment of the ride. Other factor is that not all agencies will pick you up at your hotel, and having to wake up at 4 am to get to the take off site is no fun . And finally the captain’s experience, after all you are flying high above the ground based on just heated air and the winds. My experience started at around 4.30 am , with breakfast at the balloon agency , while we waited for the green light from the meteorological centre that the conditions to fly were good. 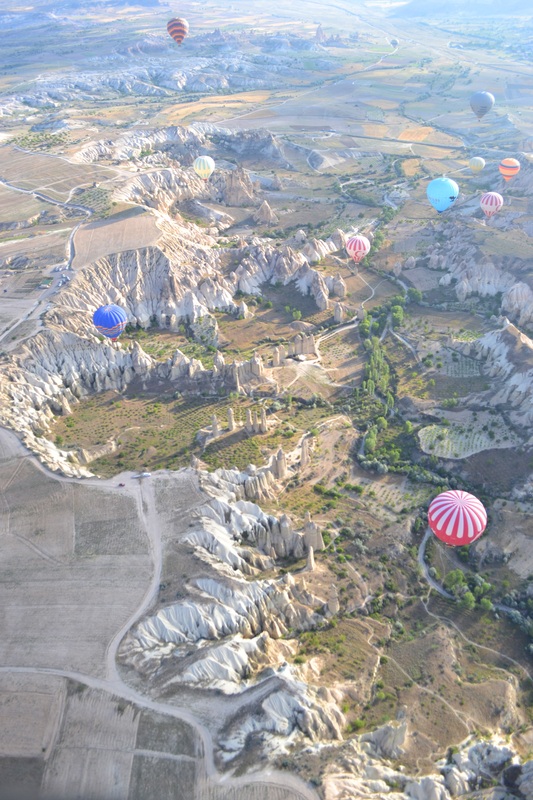 A tip that we were given was to always book your ride for your first day in Cappadocia, because flying can get cancelled due to bad weather. Then you are taken to the take off site and get to see the inflation process. And off you go! There were just around 15 people on my basket and the flight lasted around 40 minutes and it was wonderful. Watching the sunrise with all the other balloons flying around you and looking at the impressive geography of Cappadocia from the skies was incredibly beautiful. Pictures really don’t do justice to this view. Our captain was a cool guy, experienced and funny. He cracked a little joke “Is this your first time flying ? , good, mine too ” And for the landing, while all around us balloons had somewhat abrupt landings on the ground, we landed on the back of the pick up truck that carries the balloon! 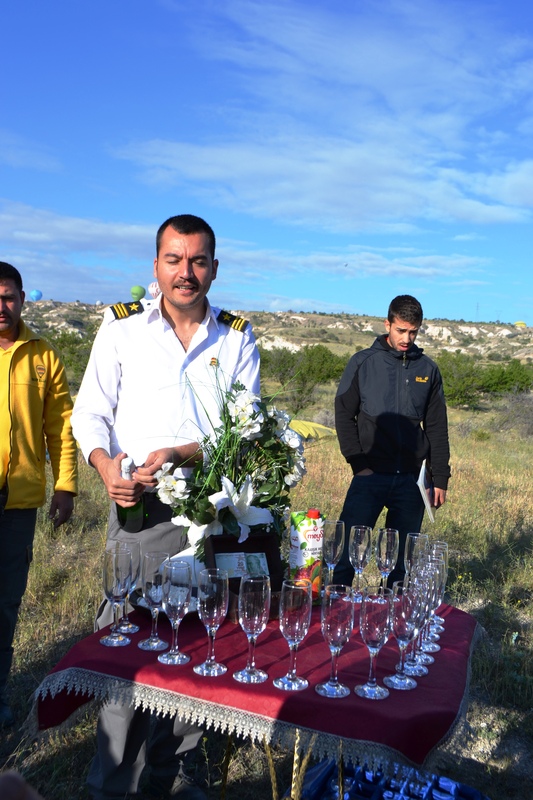 Once on the ground champagne is popped and you get a certificate for flying as a little souvenir. 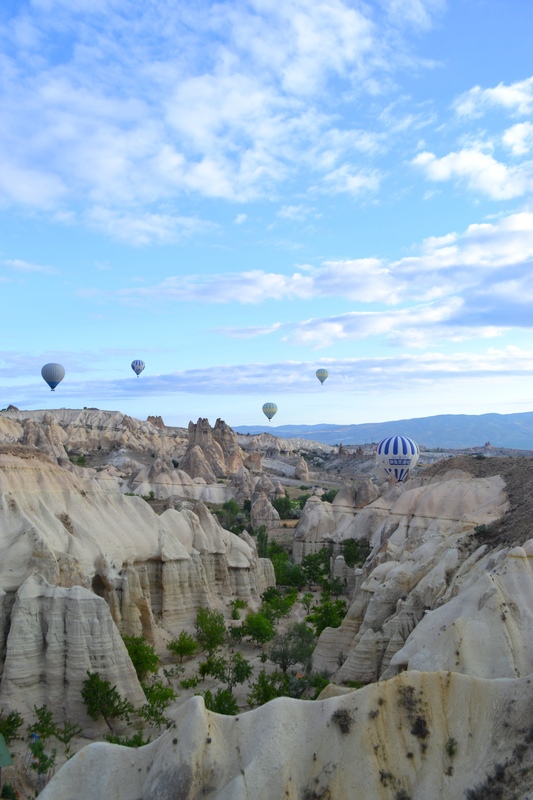 I recommend taking this amazing opportunity in Cappadocia. After all, it’s a once in a life time thing.